Watts’ group held a “Gun Sense University” Friday in Atlanta, with the goal of encouraging gun control advocates to run for office and secure restrictions on the Second Amendment. Her group is funded by Michael Bloomberg and is part of his Everytown for Gun Safety group. Politico highlights the crucial role “the financial and organizational support from being brought into Mike Bloomberg’s Everytown for Gun Safety” plays. The financial supports means Moms Demand Action can keep fighting for gun control, win, lose, or draw. This gives Watts confidence to suggest gun control control proponents will eventually wear Second Amendment supporters down and win. 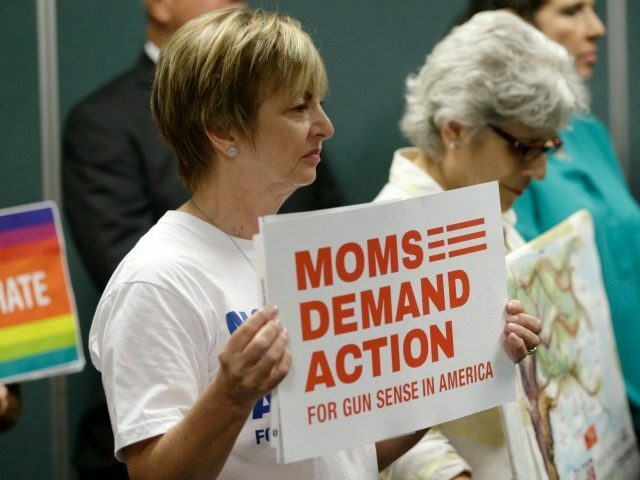 MSN reported on the Gun Sense University event too, noting the passage of a Nevada universal background check ballot initiative as one of Moms Demand Action’s success stories. MSN did not point out that those background checks were never implemented because state Attorney General Adam Paul Laxalt found the checks “unenforceable” due to the language used in the initiative.